Gift cards are a great thing to have around. While they’re not quite as useful as cash-in-hand, there’s something extra convenient about having credit you can use in a certain place. Since gift cards are becoming more and more popular in today’s world, I’ve gathered together a list of ways to help you earn gift cards. Join Smart Panel, a new survey site where you earn rewards to share your experiences about how you use the internet. They pay you $15 just to install their free app. 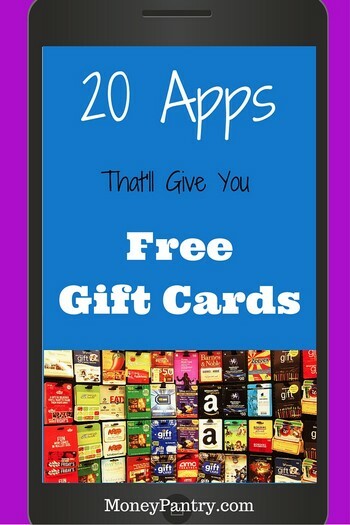 This is a bit different from lists I’ve done in the past, like this one that lists top money making apps, because today we’re focusing specifically on apps to earn gift cards. For today’s on-the-go consumer, these apps are a great way to pick up a little extra credit in your down time. It goes without saying that you’re going to need a smartphone to take advantage of these opportunities. Those of you on strict data plans, take note of which apps stream video and which ones don’t! Almost all of these apps are available for both Android and iOS devices. There are a few that are only available on either Android or iOS devices. Beginning our list is App Trailers, a simple and easy-to-use app that will reward you for watching videos. Usually, you’ll be watching a 30 second advertisement about a different app, or giving your feedback on a video. The points that you are rewarded are redeemable as gift cards, although you can also ask for an instant PayPal payment. While it may sound like this is a shopping-rewards app, it actually offers a few other ways to earn points, too. You can earn points for doing downloads and checking out offers, as well. The thing that sets Points2Shop apart from similar services is that they offer a huge variety of prizes that you can redeem for. Even super-expensive ones, like new game consoles and other electronics! 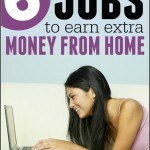 If you want to earn these, though, you’ll have to be prepared to put in a lot of time with this service. To make it easier to get started, first visit the link above and sign up with Points2Shop on their website, then install their app so you can use it on your phone and on the go. A great app for the sports-lovers. The way it works is that you download the app and when your game is going on, you check in via Facebook and participate in the social happenings. It might be as simple as giving a prediction for how the game will go, or answering some trivia. FanCake has been around for a few years now and it is getting better all the time. This noteworthy app has even been featured on Forbes. You can get your rewards redeemed for companies like Amazon, Best Buy, and Wal-Mart. While we’re talking about apps that help you make money just by checking into an app, let’s talk about Viggle. Viggle is a really cool concept that has been making waves in recent years, you may have seen me mention it in my articles, like this one on how to get paid to watch TV. The way it works is that you check-in to a show while it’s airing (DVR won’t do) and watch away. Some users say that the phone needs to be able to hear the show, while others do not. Otherwise you just check in at the beginning and end and get your experience. Viggle will sometimes promote certain shows, and you’ll get more points for watching those. If you want more points, you can also take part in activities like trivia. Your points can be redeemed for any number of big name vendors, everything from Sephora to Papa John’s! Not bad for just watching TV. This is an app that has been growing in popularity recently. You can either get your points by purchasing through the app and being rewarded, like any rewards system. You can also get points for walking into certain stores or doing little activities like scanning bar codes. The reason only certain stores will do is because Shopkick actually works to install beacons in these locations so that it can tell its users are in the store. So when you enter a store to use Shopkick, you’ll know that the opportunities available are specific to the store you’re in. You can absolutely earn points without doing any purchasing. However, if you choose to purchase things, you’ll make more points more quickly. The key idea is that Shopkick uses the points as an incentive for checking out certain stores and brands. If you’re into the stuff they promote, this is a win-win opportunity! These points can be redeemed for gift cards like usual, but can also be used to get more concrete goods like vacuum cleaners or electronics, or even subscriptions to your favorite magazines. There are a few things about the way Perk works that make it unique. The first thing you’ll notice is that all of the functions of Perk are segmented across different apps. So the games app is different from the search app, and so on. Furthermore, these are available on everything from Android, to iOS, to Kindle. Since the apps are cleanly organized, it’s very easy to do what you want with Perk. If there are certain ways that you prefer to earn your points, no problem. Just keep that app on your phone. It’s an appealing design decision that I found made the user experience more enjoyable. You can earn points for using these apps as well as taking advantage of offers and receiving points as a cash-back. The store offers PayPal and gift card payouts. Their exchange rates on the points isn’t the best, but it’s definitely worth checking out if you’re interested. This is a very consistent app that should meet your gift card needs while you’re out and about. It has a nice variety of actions you can take; you can watch videos, play games, invite your friends and do surveys. While JunoWallet isn’t particularly unique, it is very reliable, which makes it the clear choice for many people. These guys have a very simple mission: you take pictures of your receipts, and they give you points for it. They probably just want this information for consumer research, so you don’t need to worry about what they’ll do with the pictures. Receipt Hog also rewards you for being a consistent user. While the entry-level users will only have the option of taking pictures to earn points, more advanced users will be allowed to do surveys and feedback questionnaires for points, too. With this app all you have to do is use your phone as usual, while earning cash and rewards. Each time you unlock your phone, you will get a card containing news or ads on your lock screen. Simply slide right to unlock your phone and use it as usual. That’s it! You earn rewards for simply having trending news and ads on your lock screen. You can redeem your rewards for gift cards or cash via PayPal. CashCrate is another reliable option for those who want to do general tasks while out and about to earn their points. So you can do offers, complete surveys, watch videos, the normal activities. The points can be redeemed for gift cards or cash, whichever you choose. If you really want to drive up your earnings with this app, you’ll want to take advantage of the shopping and trial offers. Because of the way that it works, I would have to say that Ride is probably one of the easiest ways I’ve ever made money before. The buildup is slow, but since this is so amazingly easy to use, there’s no reason not to start building them up. It’s an ideal app for commuters. If you have to take the train or drive to work, Ride is the app for you. You redeem the points for gift cards which work for a variety of retailers such as Amazon, Starbucks, and iTunes. You download SavingStar and they offer you a variety of ‘eCoupons.’ You then accept these coupons and link them to your rewards card. Then you go to the store, make the purchase, it accepts the coupons and then you are credited with points for your purchase. Even though this is a list about gift cards, you may be pleased to know that you can cash out to your bank account. You can also cash out to charity, and the options of PayPal and Amazon are also available. This app is all the good of a survey panel while you’re out and about. 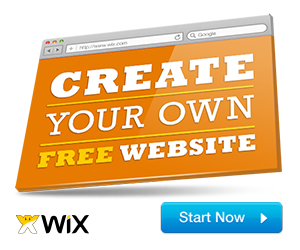 How it works is that you make an account and then you fill out your demographic information. Your name, age, etc. After that, you’ll be ready to earn some points. The app will give you points just for walking around. It will give you notifications to take surveys while you’re out and about, generally based on where you are (questions about the store, etc.) That means that you will need your GPS on, because it is tracking your location. This is just so they can build data about where customers go, they don’t have your name attached to it. That means that Panel is especially good for consumers who go to a lot of businesses in their day. Points can be redeemed for Amazon gift cards on the spot, but you can also enter sweepstakes with your points to win gift cards for things like PayPal, Visa, and Starbucks. Rather unique to this list is Mobee, the mobile mystery shopping service. With Mobee, you’ll be assigned to go out and investigate a store’s merchandise/service and then give a report on it via the Mobee interface. Another good thing about Mobee is that they have a quick recognition on your actions. They’ll reward you within 24 hours for anything you accomplish and you can immediately redeem it for gift cards or tickets to your favorite events. A very cool app that is designed to help sufferers of depression and bipolar disorder. The way it works is that it tracks your mood throughout the day, and it gives you rewards for taking steps to improve your mood. If you exercise, or go to therapy, then you’ll gain points. The app also offers some gaming elements to help provide an incentive to improve. If you or anyone you know suffers from these conditions, this is a must-have app. This is the mobile app of the survey group Ipsos. Since this company is pretty well-known (they’ve been doing surveys of the presidential elections for years) they are willing to offer you a higher rate than most places for their surveys. There are plenty of surveys through Ipsos that pay less than a dollar, or just a dollar, or a few dollars. But there are rare surveys that will pay you out a lot of money, sometimes really involved surveys can pay out something like $95! You have to sign up through the website, but then you can redeem points for PayPal, iTunes, and Amazon. An overall attractive and smoothly-running app, Prize Per Day is functionally similar to many other mobile rewards apps. You can watch videos, sign up for trials, and take surveys. In addition to providing an appealing look and smooth interface, Prize Per Day also has a large variety of gift cards available, unlike some others on this list which are limited to a few specific brands of rewards. If you’re someone who values a clean user experience, this is a great app for you. A well-known survey app. iPoll lets you earn money for doing missions (surveys) on the go. Like some of the sites on this list, they will ask you to give your feedback on a place that you’re near. They also offer surveys that are available from home. Surveys will ask you multiple choice questions about a certain topic. It might be about a well-known business if you’re at home, or it might be about the businesses that you’re near. iPoll is known for having a lot of tasks to do while you’re out in the world. If you’re in a town center, you might get as many as 8 or 10 offerings at once. With this type of service, more is always better. The good news is that iPoll’s apps have a nice rate of pay, almost a guaranteed $1 per mission. 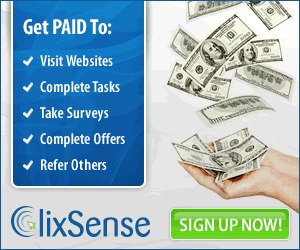 If you’re taking a more serious, drawn-out survey, you can easily get paid more. You can cash out via PayPal or gift card once you have earned $10. The old champion Swagbucks also throws its hat into the mobile ring. Swagbucks is among the better apps that are available for making money on the go; it offers a variety of tasks and there is no shortage of them. It might be something super-easy like letting videos play, or you might have to hunt out ‘Swag Codes’ that are redeemable for points. Swagbucks reliably pays out to any gift card you can imagine, as well as providing PayPal and sweepstakes options. An app that operates in a way that is almost identical to Shopkick. So you get the same sorts of options, the ability to scan products or check out stores or make purchases to earn points. CheckPoints surpasses Shopkick in terms of task availability, though. CheckPoints also offers quizzes and videos as a method of earning points, in case you’re not out and about. They offer all the biggest retailers’ gift cards, things like Amazon, Wal-Mart, and McDonalds. While surveys and such definitely aren’t for everybody, I would urge you to check out some of these apps. 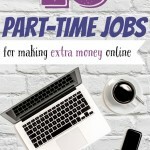 You never know when you’re going to need to kill time and it’s great to have the chance to kill time making a little pocket money! There are a lot of apps out there that are competing for your business. So if you don’t like one, no hassle! Just delete the app and try a new one. There is almost definitely an app that you can enjoy that will help you earn gift cards for very little work.